With growth of over 12 per cent per annum since 2004 and a turnover worth 455 billion euros – which is a 16 per cent slice of the global food market – the Halal product market (the word halal means “allowed” by Islamic law) is an attractive one to Morocco’s businesses. However, access to exporting into this market lies through obtaining a label issued by an accredited organisation that is recognised by importing markets. Under pressure from the industrial sector, the Moroccan government has already begun to make moves in this direction by introducing at the end of 2010 a first re gulation inspired by the Malaysian model. However, according to a report from a sector professional appearing in La Vie Eco, “the fact that Moroccan Ulemas did not take part in drafting the norm means that it never gained credibility. On the other hand, since it came into force, not one single business has attempted to have itself certified according to this norm”. 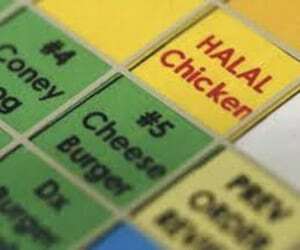 Over recent months, Morocco has started once again on its quest for credible Halal certification: since December, a technical committee under a Moroccan assaying institute, (IMANOR), which is linked to the Ministry for Industry, has been holding meetings to review the current norm in depth. This time round, Ulemas were also present at the consultations and broad concordance has been sought with the norm governing Halal products of the Organisation of the Islamic Conference (OIC), which is a synthesis of several national regulations. The new regulations, which will cover every production phase, should come into force over the coming days following approval by the Ministry for Industry and the first certificates should be issued during July. According to sources interviewed by La Vie Eco, the Moroccan subsidiary of Nestlé has already consulted IMANOR and is working towards having some of its products certified according to the new Moroccan regulation. Other large groups, such as Coca Cola, Kraft Foods and Sapak, are said to be similarly interested and should be applying for certification soon. Sector experts warn that it may take some years for Morocco to be able to compete with competitors like the Turkish companies that currently occupy the international Halal market segment. (ANSAmed).